Quick overview The author has been conducting ongoing conversations with the world's greatest living artists since he began in Switzerland, aged 19, with Fischli and Weiss. In this book, he chooses nineteen of the greatest figures and presents their conversations, offering the reader intimacy with the artists and insight into their creative processes. 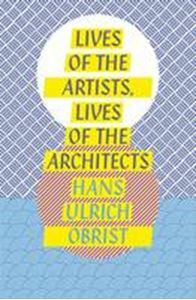 From world-renowned curator Hans Ulrich Obrist, Lives of the Artists, Lives of the Architects offers a unique opportunity to learn about the lives and creativity of the world's leading artists. Hans Ulrich Obrist has been conducting ongoing conversations with the world's greatest living artists since he began in Switzerland, aged 19, with Fischli and Weiss. Here he chooses nineteen of the greatest figures and presents their conversations, offering the reader intimacy with the artists and insight into their creative processes. Inspired by the great Vasari, Lives of the Artists, Lives of the Architects explores the meaning of art and artists today, their varying approaches to creating, and a sense of how their thinking evolves over time. Including David Hockney, Gilbert and George, Gerhard Richter, Louise Bourgeois, Rem Koolhaas, and Oscar Niemeyer, this is a wonderful and unique book for those interested in modern art. 'The interviews Mr. Obrist has conducted over the years currently add up to some 2,000 hours' worth of tape...Through these interviews, Mr. Obrist has established himself as the unofficial secretary of the contemporary art world. "The way we might read Vasari for primary information on the Italian Renaissance," said [Jeffrey] Deitch, "people will be looking at the archive of Hans Ulrich's interviews to construct the art history of this era" (New York Observer). "Officially the most powerful man in art." (Daily Telegraph).